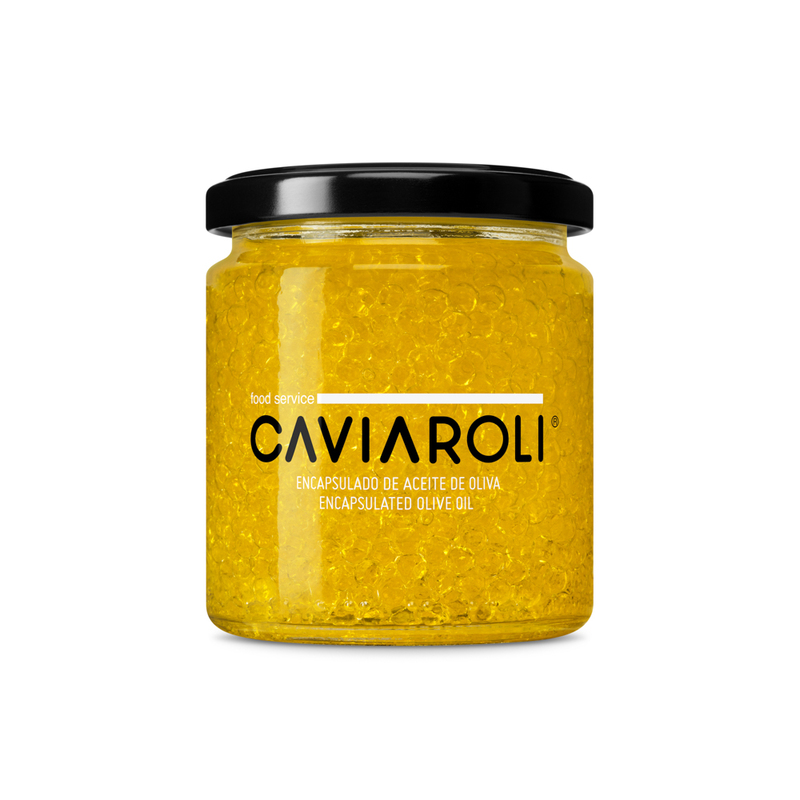 CAVIAROLI is a taste explosion that absorbs the intensity and aroma found in top-quality olive oils with protected designation of origin. 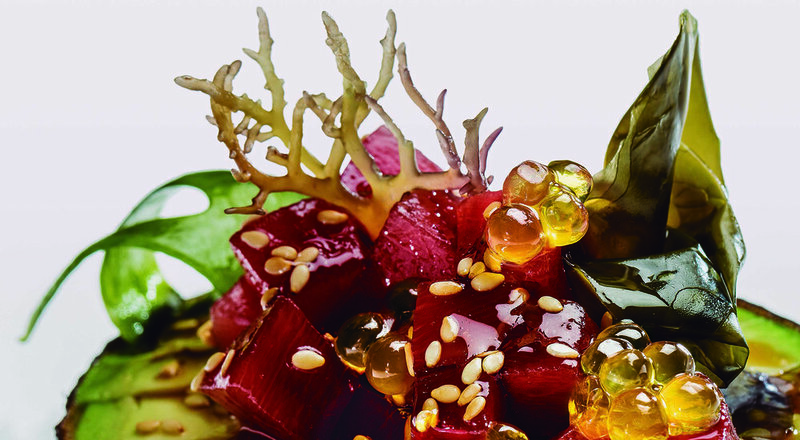 This is achieved through encapsulation technology, creating pearls of olive oil that have the same texture as caviar. 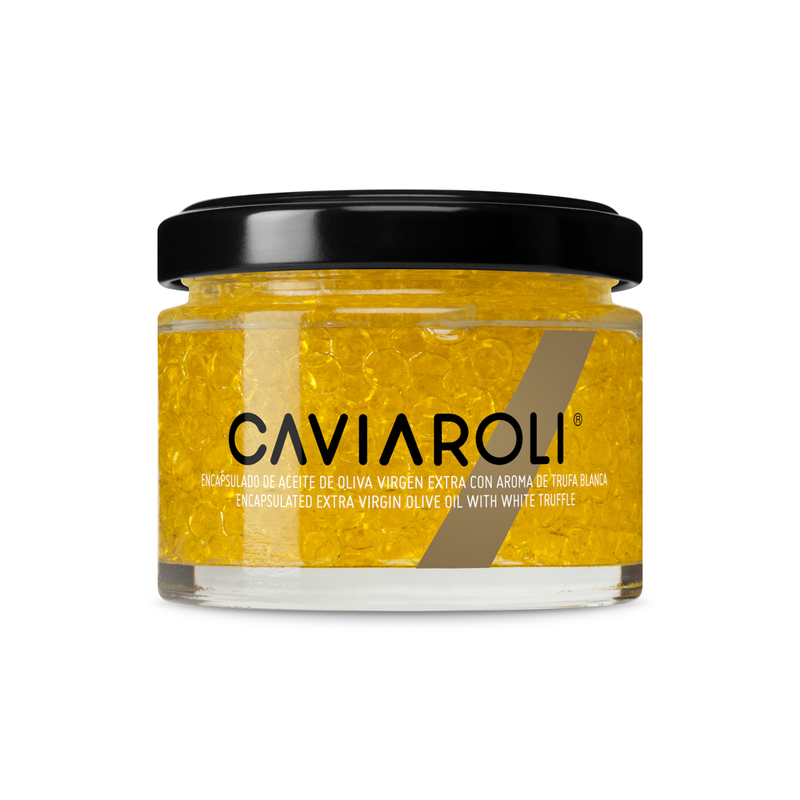 CAVIAROLI melts in the mouth, allowing diners to enjoy a delicate serving of pure olive oil before it blends in with the dish's other ingredients. August 2018 the Great Taste UK academy awarded 4 of our products with 1 star. CAVIAROLI Drops Green Spherical Olives, CAVIAROLI Drops Spicy Spherical olives, CAVIAROLI Pomegranate 50g and CAVIAROLI encapsulated olive oil with chili 50g.